Your thermoTRP channels won’t know what hit them. 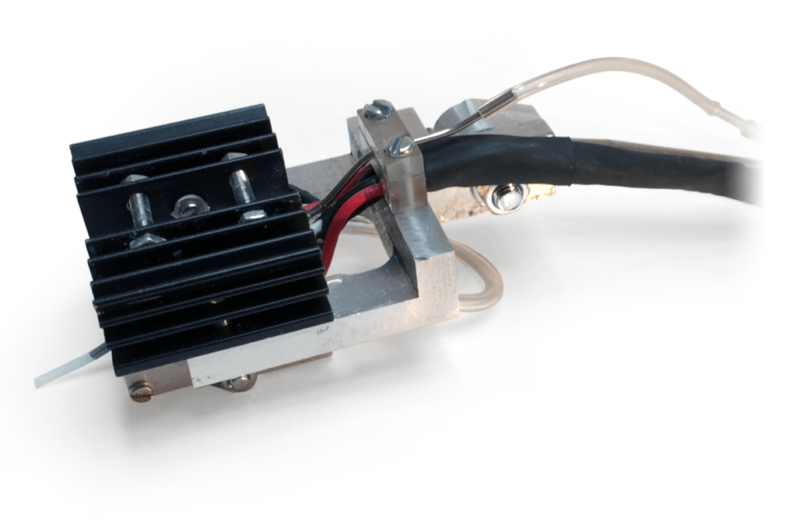 This temperature controller is for superfusing small areas (e.g. groups of cells) in a recording bath, at a precisely controlled and rapidly adjustable local temperature. The system has been especially developed for patch clamp experiments in order to apply thermal stimuli without introducing noise or interference. It is also very suitable for intracellular ion imaging in cultured cells or tissue slices, oocyte recording, intracellular microelectrode recording or extracellular (e.g. brain slice) recording. Effect of flow rate on the static temperature and on the rate of temperature change. (A) Static temperature at the Peltier element (circles), in the solution leaving the Peltier element (squares), and at the cell (triangles) at flow rates between 0.6 and 1.7 ml/ min. Command temperatures were 50°C and 0°C, and feedback was from the Peltier element. 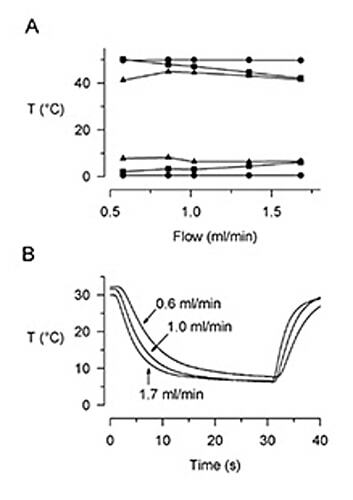 (B) Temperature at the cell during step temperature commands at flow rates of 0.6, 1.0 and 1.7 ml/min. The initial temperature at the heating/cooling chamber was 32°C and the command temperature was stepped to 0°C for 30 s, then back to 32°C. The main controller is ready for 19″ rack mounting (size 2U). 483mm w x 90mm h x 395mm deep 19″ w x 3.5″ tall x 15.5″ deep 6.5 kg = 14 lbs. Three externally amplified temperature sensors including an optically isolated bath sensor, for virtually noise-free operation. 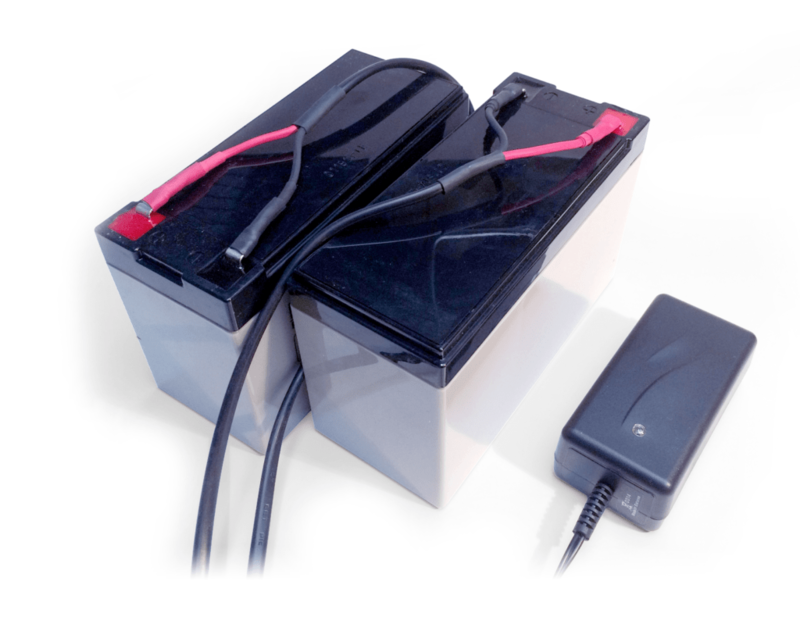 12V batteries and charger included for noise-free heating and cooling. Special 0.1°C error thermocouple for exceptional accuracy.